[banane-io/PDB] 1 commit. 28 additions. 28 deletions. [rubberduck-vba/Rubberduck] 1 opened issue. 1 issue comment. [Zomis/minesweeper-flags-client] 7 commits. 134 additions. 34 deletions. @mansellan checks chat history Ah, yes... a running problem. @Comintern This is certainly true. When I added VB6, I added all the bits from its OM. I added no tests specific to it. But TBF, they have no known relevant specific behaviour behavior. They are class modules. Specialised forms to be sure, but class modules none the same. Our reliance on enums, and not even flag-checking them, will cause problems. Time to play Where's Mug? Found him very shy I believe. "Vlookup like a boss". True... On so many levels, true. Normally that kind of error is straightforward; it means that the file is missing or otherwise unusuable but why only this machine? One'd thunk that a bad assembly reference would not even let me get that far into the procedure at all, no? Is it an error message for something altogether different? Anyone else encountered that? @this Random thought, does that machine have the C++ build tools installed? @M.Doerner it is installed. But I probably should try and run the command manually to verify it is sane. @this that’s reminiscent of the error message my work box gets. I wonder if it started for me after modifying VS and what it has installed. I’m interested to know your results if you can get yours to build by modify what your VS has installed. I took the post down for a sec. I kind of broke it trying to edit it. What's up? 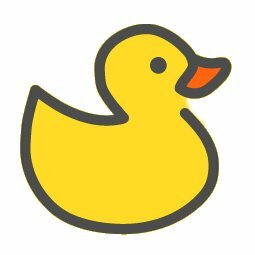 Come to discuss Rubberduck? Frankly I've come to see what goes on in a Chat room, But I found the rubberduckvba.com from here which I think I great. @Gangula welcome to the pond. What goes on depends on the chatroom. Some chatrooms specialize in posting offensive content to non-in-groups. Some are for general chatter, some are for specific projects or discussions that should happen outside the general chatter rooms because they end up being too opinionated or generate so much chatter, and some are for moderation or testing bots or anything else, really. Anime and Manga, for one, contain a lot of content that is offensive to non-fans of those, etc. Not saying it's bad, just saying it's offensive to some groups. bah... you mean there's a handful of people that actually kick up a stink about that? From what I noticed, Anime and Manga just split into two groups that don't fight any more, but still post the same stuff. @Gangula If you look it the top right of your browser you'll see what this room is for. It's discussion, mostly, pertains to the development of the rubberduck addin for VBA to help write better code. @Hosch250 :+1: You may want to think about using <kbd>Foo</kbd> instead of <code>Bar</code> to indicate a difference. I'm going to have to go through the pains of that myself for my own posts. That is, a difference between code and keyboard keys. For me personally I'd like to have a slight visual difference between them. That's mostly because I really like being able to see keyboard shortcuts and identify them easily. Which parts should be keyboard? Enter is a key "technically" not code. FWIW, I'm not sure kbd is even a standard tag. I'll have to look into that too, before I decide. That's why I mentioned just thinking about it. html.com/tags/kbd and w3schools.com/tags/tag_kbd.asp have it listed. > Tip: This tag is not deprecated, but it is possible to achieve richer effect with CSS. It's supported, but it sounds like it might not be for too much longer. So better to create a keyboard class and use that? > Good governance never depends upon laws, but upon the personal qualities of those who govern. The machinery of government is always subordinate to the will of those who administer that machinery. The most important element of government, therefore, is the method of choosing leaders. @Hosch250 ^ From Children Of Dune (Book 3). @IvenBach Can you do that in wordpress? So glad our benevolent duck has no desire for power. @Hosch250 :shrug: I have to look into that. If you've not read the Dune series, again, I highly suggest it. Interested. I've seen it on Sci Fi. Also really want to read Terry Pratchet. He sounds right up my alley, with some awesome puns. Never saw the sci fi mini-series. I'm really hopeful the movie will do the books justice. I mean sci fi SE. @Hosch250 The books by Terry Pratchett are really great, especially the Nightwatch ones. And yes, the puns are awesome and frequent. Just do read the discworld series from the beginning. He was still ramping up in the irst two to four books. I tried to get The Colour of Magic. It was on the backlist for like 6 months, and never got around to me. Then, I hit a really busy schedule where I couldn't read, so I took myself off the list. Because if you reject it when it's your turn, it bumps you to the end of the list anyway. Colour of magic is actually one of the weaker books in the series. It was the starting one, though? I was trying to read them in the order recommended by Wiki. I would rather suggest to start with Guards! Guards! (start of the nightwatch series), Pyramids (standalone) or Small Gods (standalone). Oh, there is a recommended order somewhere? I only know the nice flowchart of plot dependencies. @MathieuGuindon You have a pretty sweet set of stats going on for rubberduckvba.wordpress.com. Yeah. They even have a widget that shows you "today's stats"
@IvenBach wasn't your failing to build on the Core project? My error is further along the build. @MathieuGuindon @this @M.Doerner @Comintern how about release today? I'll be off to a birthday party soon, but I'm available tomorrow "evening"
at this point anyone with merge privileges should be able to push out a release. Is there any reason to wait? I don't think so but the main concern would be to react if something asplode. I hope it works out, though! No,not a fruit. A Software company that's small and soft. LOL, the fruit is worse about it. Max spotted the culprit. I was indeed in a weird limbo where i had some C++ tools but not MIDL installed. That was causing the problem; the error message had nothing to do with the olewoo_interop at all. When I get back home, I'll see what I can do to improve the error handling or make clear which package from VS installer are actually required. One clue was that previously when I opened up the command prompt for developer, it did not recognize the MIDL as a program. Once it did, then it built. @Hosch250 I have seen the trailer but Good Omens is a film adaption of the late Terry Pratchett work. It is on Amazon Prime with David Tenant from Dr Who.